The wood duck is a beautifully colored duck with an iridescent green head, red eyes and white stripes on its head and body. Males (or drakes) in particular have a distinctive head patterned with white stripes and iridescent green and purple patches. They also have red eyes, a reddish-orange bill, a chestnut breast and a swept-back crest on the back of their head. The females (hens) are dull, mottled brown with a white eye patch and a short crest. 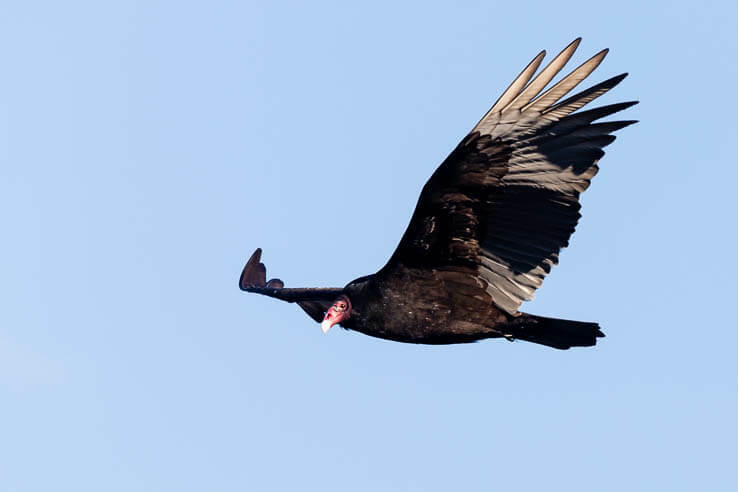 These distinct birds are common throughout much of the eastern United States and all of the Chesapeake Bay region during the year except winter. They are a popular bird for hunters, but nearly went extinct in the early 1900s due to overhunting and habitat loss. Since then, regulations have helped revive their populations, including their listing on the 1918 Migratory Bird Treaty Act. Measures have also been taken to give them the habitat they need to survive and breed. Wood ducks nest in tree hollows near wetlands. During the 19th and early 20th centuries, as forested land was cut down and turned into farms or developments, wood ducks lost the kinds of trees they needed for nesting. To help replace this lost habitat, in 1937, the U.S. Biological survey (now the U.S. 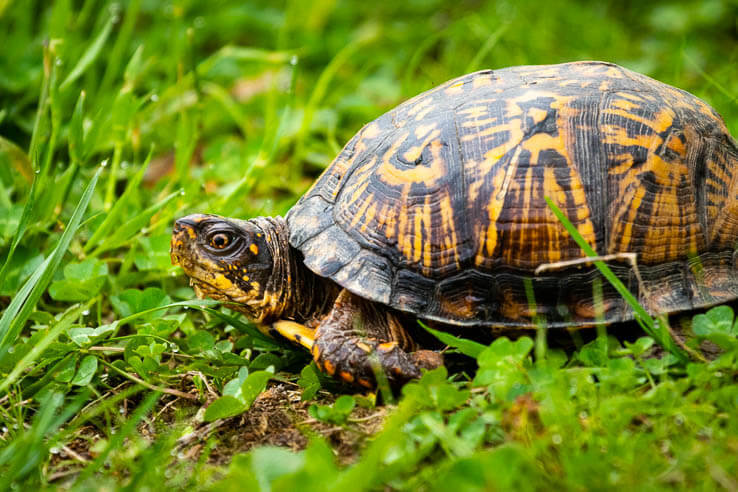 Fish and Wildlife Service), placed nearly 500 wooden boxes at a wildlife refuge in central Illinois. 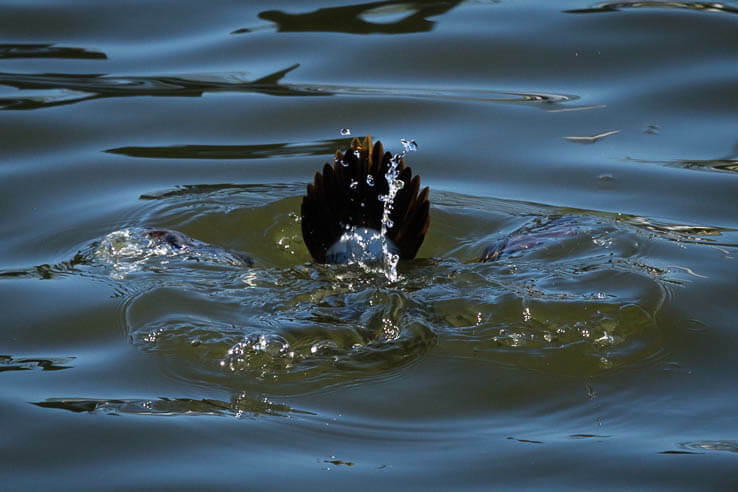 This is the first time that woods ducks were recorded using artificial nesting sites. Since then, manmade nesting boxes have be a popular tool to help bring wood ducks back. Simple to construct, these boxes have been used by everyone from professional conservationists to private landowners to give wood ducks a place to nest. Now, the species is listed as stable across the country. 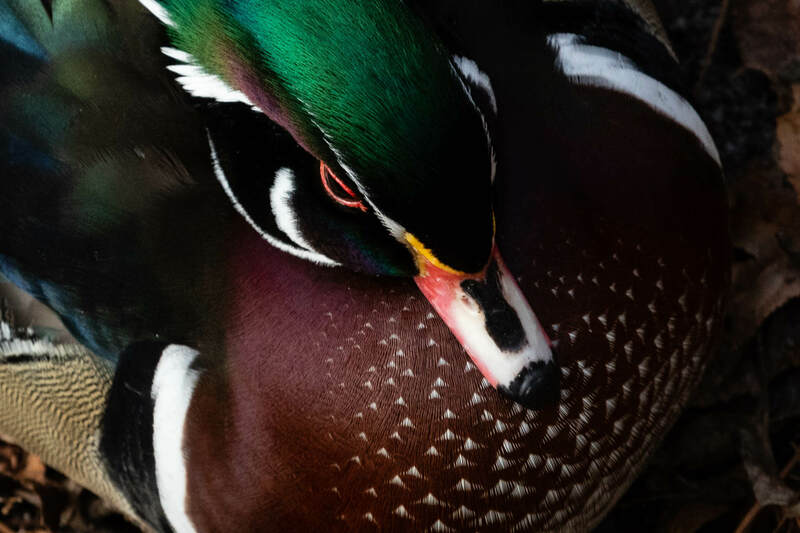 Learn more about the wood duck (Aix sponsa) in our Field Guide.